Everyone around you appears to be experimenting with their hair color. They look fresh, new and absolutely stunning. It is only human to feel tempted to whip up your own favourite color and go out looking amazing. But, there are a lot of ‘buts’ involved. Coloring your hair is a major commitment. It is time consuming and quite expensive. So, before you bring yourself to sit in that salon chair, read this. We have jotted down everything you need to know about dyeing your hair. Once you know all there is to know about coloring, you will be more confident about what you want and more realistic about your expectations. All in all, you will be able to remove all the ‘buts’ and flaunt your new hair in style. Let’s get started. Of course, you need to choose a colours before you start dyeing your hair. You can pick from warm colours like orange, red, brown, and other similar shades. The cooler hues include the likes of white, blue, green or purple. You can also go for multiple tones like your beloved celebrities. This trick will make your hair look thicker and give it a lot of volume. We usually have a very specific shade of color that we wish to sport. However, as a beginner, it would be smarter on your part to start small. You can start out with a few streaks and highlights and see if you like it. When you colour your hair, you can go one of the two ways. You can either dye it over your natural hair or you can bleach it all. Colouring over natural hair gives a shaded impression. This colour will show best when you are in a well-lit room or when you are outdoors. However, not many people will be able to see your hair colour in darker settings like a night out. On the other hand, you can go for a solid block colour for which you would have to bleach your hair. You can then go ahead and get any solid colour for your hair. One interesting thing to note here is that if you want to try brighter or warmer colours like red or brown, then you can bleach your hair lightly. Less bleach also means less damage. But, if you want to colour your hair in a lighter shade, you will have to go for a heavy bleach treatment. Lighter colours need a white or a blonde base and hence, more bleach. If you do not bleach your hair properly while getting a light colour, you are going to end up with a murky version of the intended color. Nobody wants that! Maintenance of coloured hair is talked about a lot. However, do keep in mind that your coloured hair regimen will be very different from the next person. The kind of hair you have, how long you leave the dye in your hair, your regular shampoo routine, and other such factors affect the final outcome. There is also the added factor of cost to consider. You will need retouches, will have to go to salon more often if you wish to keep that fresh new hair look. If you are up for the commitment, then you should go for it. Here are a few tips you can put to use that work well with most hair types. Find products that are specifically designed to care for coloured hair. This goes for your shampoos, conditioners, or any other products that you put in your hair. A colour-protecting spray will also go a long way in extending the life of your coloured hair. UV rays from the sun can be damaging to your hair colour and these sprays create a shield against them. A keratin treatment is a good investment when you have coloured hair. If you are already going for one, make sure that you get it done immediately after you color your hair or within a few days of it. If you are colouring your hair from root to tip, then you will need to repeat the colouring every 2-3 weeks. If you do not go to the salon that regularly, then your roots will start showing and it will take away from the whole look you are trying to create. Good news is that you can get these small retouches at your home too. When you are colouring your hair at home, make sure that you use products that do not contain ammonia, lead acetate or other hair-damaging ingredients. 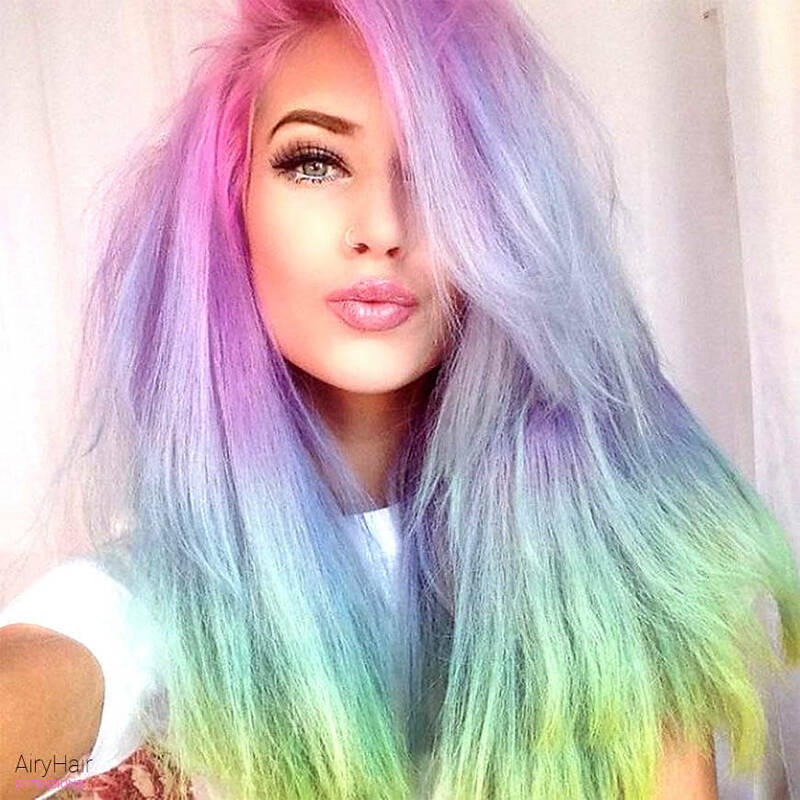 Whenever you start colouring your hair do not wash your hair first. Unwashed hair and scalp are covered in natural oils that protect them from bleach or any chemicals in the dye. Moreover, the colour sticks better to unwashed hair than the slippery washed hair. This will add to the life of the colour. Hair colouring is a daunting experiment for a lot of people. They are worried sick about the damage to their hair, about losing their natural colour, and how it will turn out in the end. There are some great products out there that do not use damaging chemicals and are gentle with the hair. For a first timer, going to a salon and letting the professionals do the colouring for you would be a great idea. It will take away a lot of stress and you can also learn how to colour your hair the right way. Again, if you are apprehensive about it, start with streaks and highlights. You can always colour the full head later. Streaks will be a good starting point and you can always grow them out if you do not like the colour. Experimenting with your hair is going to help you bring out a new side of your personality. Embrace it. Go with the flow and enjoy your new look.